NutraMetrix TLS Core Fat & Carb Inhibitor has managed to find its way into both the fat blocker and carb blocker categories, as is suggested by its name. The idea behind this product is to reduce the number of calories the body receives through the food the user consumes by blocking some of the fats and carbs from being absorbed by the body. 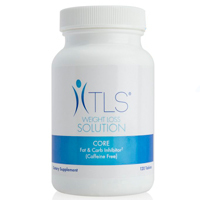 The official NutraMetrix website has a webpage dedicated to NutraMetrix TLS Core Fat & Carb Inhibitor. That said, there is next to no information provided on that page aside from a picture of the bottle. That said, it does provide a link to a product description sheet that can be accessed in the form of a PDF. Though the sheet is a couple of pages long, much of it is empty fluff and sales statements as opposed to being informational. Most of the information provided in that sheet does not offer dieters any additional benefits in terms of making their decision as to whether or not a diet pill would be appropriate for their needs. It’s unlikely that anything on that sheet would be usable by a doctor advising a dieter regarding whether a product is right for his or her patient. 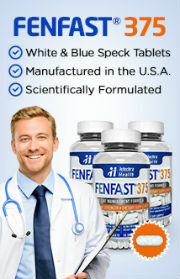 The introductory statement provides the largest amount of information, as it suggests that NutraMetrix TLS Core Fat & Carb Inhibitor supports leptin sensitivity, and that this action could potentially help in reducing the appetite while stimulating fat burning (lipolysis) while also reducing carbohydrate absorption. Everything after that point is essentially a repetition of what was initially said, only using different words. According to the product package, the ingredients making up the NutraMetrix TLS Core Fat & Carb Inhibitor diet pill formula are: chromium, white kidney bean extract, the Lepticore Proprietary Blend (gum arabic, guar gum, locust bean gum, pomegranate extract, blue green algae extract and beta-carotine), and the GreenSelect Phytosome (decaffeinated green tea leaf extract). To take this product according to the package directions, a dieter is supposed to swallow two pills twice per day (for a total of four pills each day). They should be taken 30 to 45 minutes ahead of the two largest meals of the day. No more than four of these tablets should be taken within a twenty four hour period. 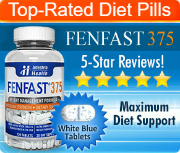 It’s highly recommended that dieters considering this product, or need help finding diet pill tablets that work for you, first speak with a doctor.